Home » Help / Policies & FAQs » General Questions » How do I get access to the premium certification practice exam? 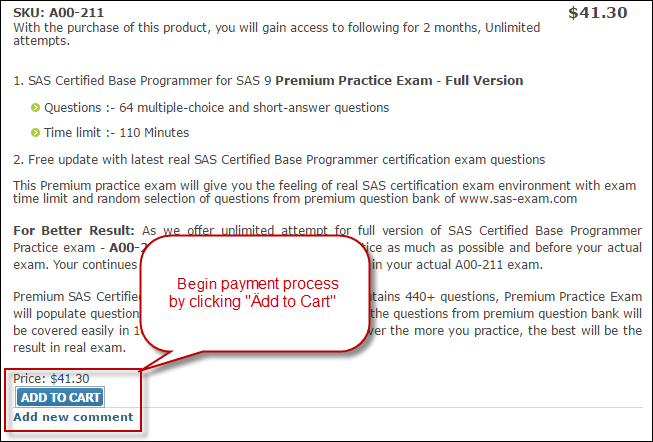 Given below are the steps to purchase the premium certification practice exam. 2. 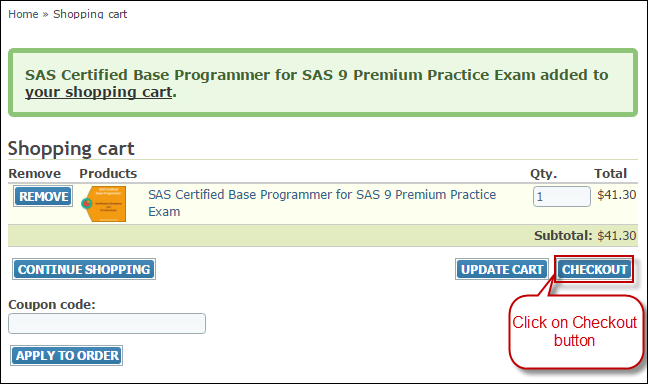 Open the SAS Certification exam module page which covers the certification exam you would like to attend. Click on "Buy Now" button to open product page. 5. 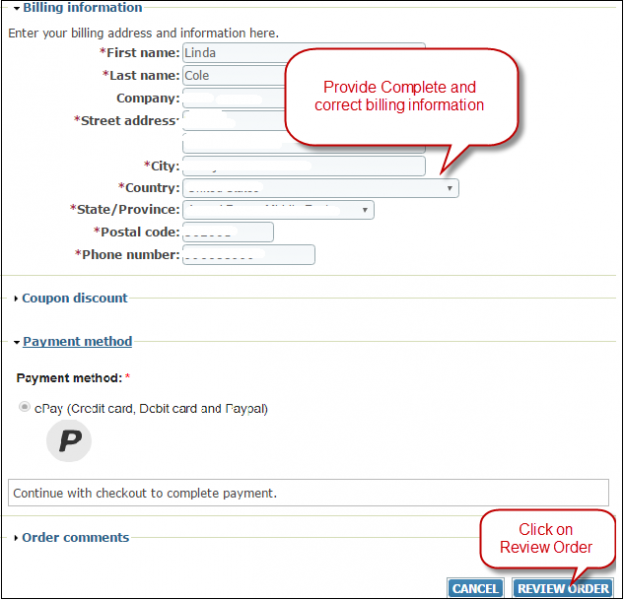 Fill all your order details carefully (as you need to provide documents with same details to use Money Back Guarantee) and click on "Review Order" button. 7. Make the payment on the payment gateway page to complete this order (The payment gateway accepts payment by Credit Card, Debit Card, Bank Transfers and Paypal). 8. You will be redirected to our web side with Order status in-process. 9. Once our automated system receives payment receipt confirmation from the payment gateway, you will get access to the premium practice exam you have purchased. 10. 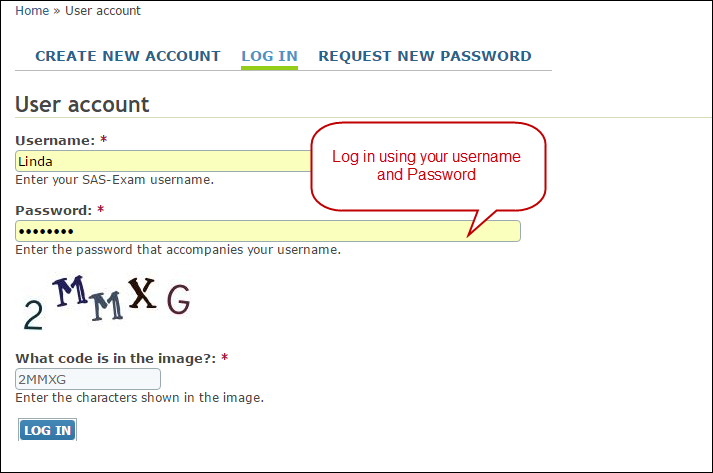 All your purchased premium exam resides in the menu "My Premium Exams" as shown in below image.